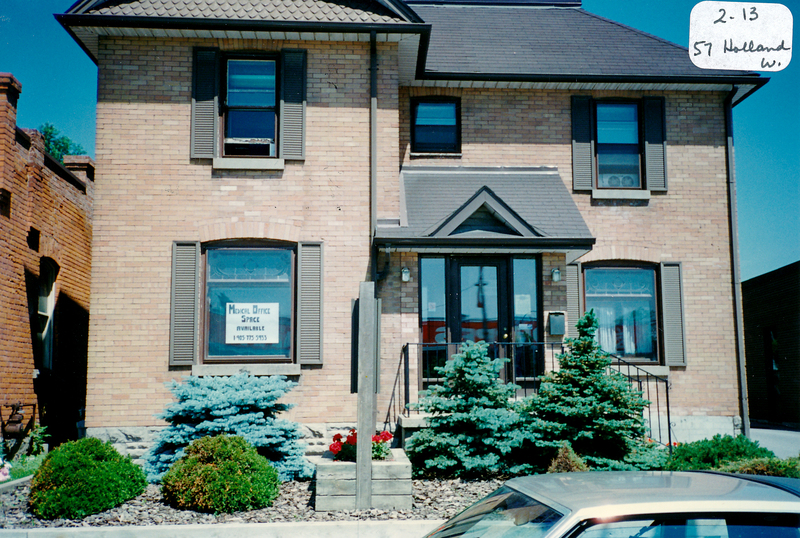 The mid-block building located on the north side at 57 Holland Street West was built in the Eclectic Edwardian style in 1900-1920. It has been the home of many people over the years, including Ken Sawdon (who later moved to Mt. Pleasant), Dr. R.H. Judge, and Steve and Margaret Molokach and son John (market gardeners across the tracks behind the Bradford Bureau Kiosk).